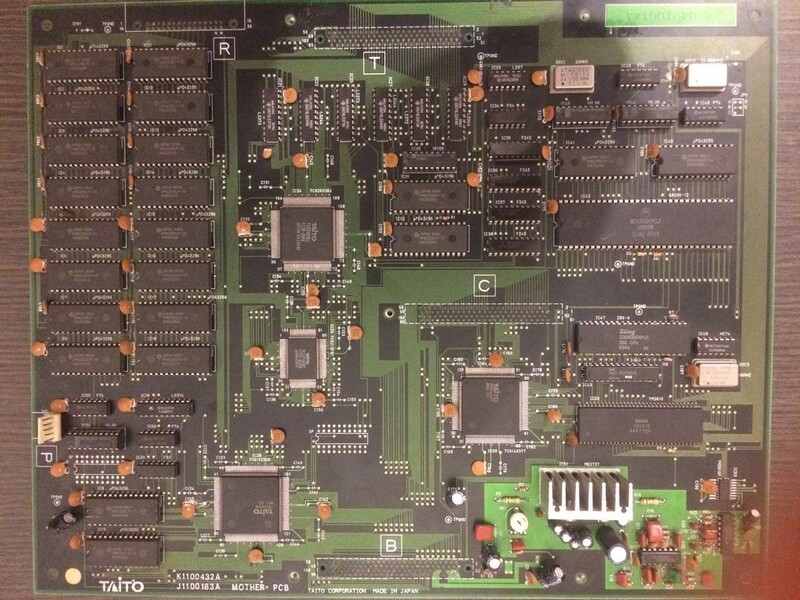 Received this Japanese version of Liquid Kids for a repair running on a different F2 hardware. The game was playing fine but hadn’t any sounds. Amplifier and preamps were good so I started to probe the sound circuit logic. After replacing it , the sound was restored.